Imagine a packaging solution that could virtually eliminate medication errors and reduce re-hospitalization rates. 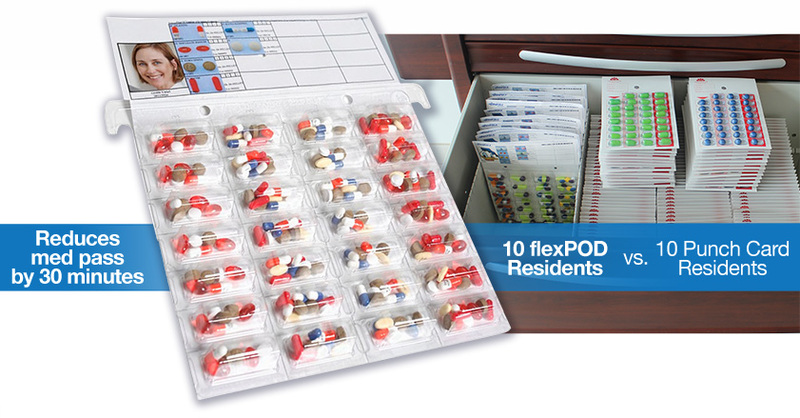 Through the flexPODSM, multi-dose adherence packaging solution resident’s prescription drugs are grouped together by day and time in a handy blister pack so you can find their medication easily. The majority of medication errors and reasons for noncompliance are due to wrong time of administration. Key Features of flexPODSM multi-dose adherence packaging were designed with that in mind. Roxanne is the Director of Nursing at The Homestead at Gentlebrook, and in the video, she shares her experience with us. Being honest and working for a leader and company that I believe in is a key to my success with Absolute Pharmacy. The entire team takes pride in our work. It allows me to speak with conviction when talking to facilities about why they should choose Absolute Pharmacy. We work with our clients every step of the way to make sure they are satisfied and never want to leave. Mary Jo McElyea is the Vice President of Sales and Client Retention at Absolute Pharmacy, an independent pharmacy that focuses on accurate and timely pharmacy services. For nearly a decade, she has been working in the pharmaceutical industry along side national and independent companies. Since 2014, Mary Jo has contributed to increasing the number of residents serviced by 55% at Absolute Pharmacy. 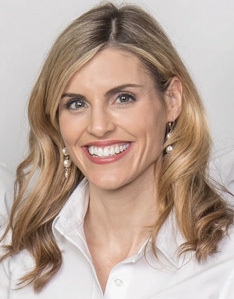 Overall, Mary Jo has over 15 years of professional experience contributing to significant company growth using exceptional communication, and building valuable relationships. Mary Jo graduated from Bowling Green State University with a BS in Business and a specialization in Marketing. Mary Jo is an elected member on the board of the Ohio Person Centered Care Coalition. When not shouting her affection for Absolute Pharmacy, Mary Jo really enjoys being at home with her husband Ed and two daughters, Julia and Claire. Find out why Mary Jo and clients choose Absolute Pharmacy.